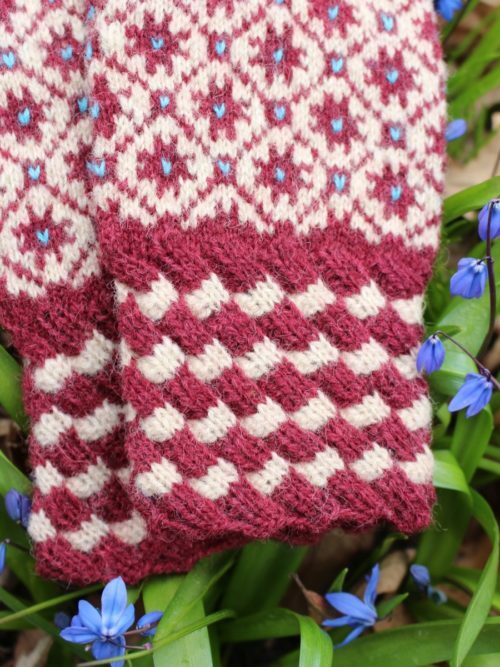 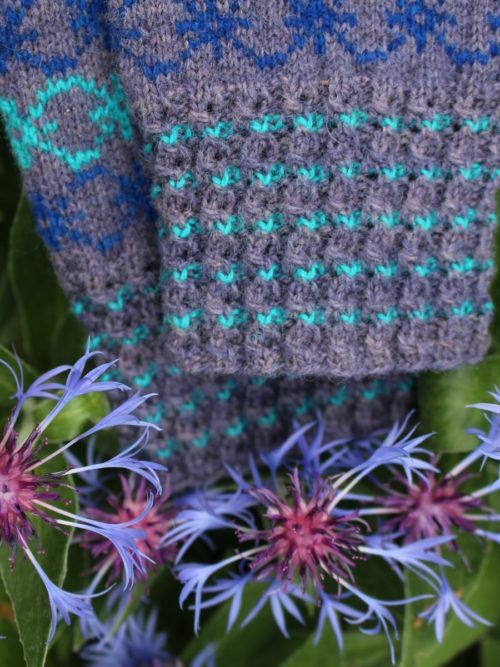 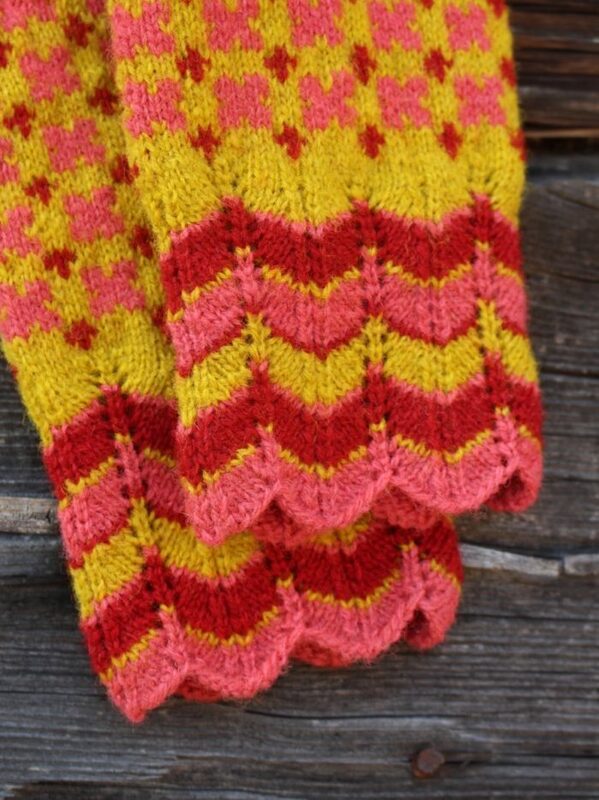 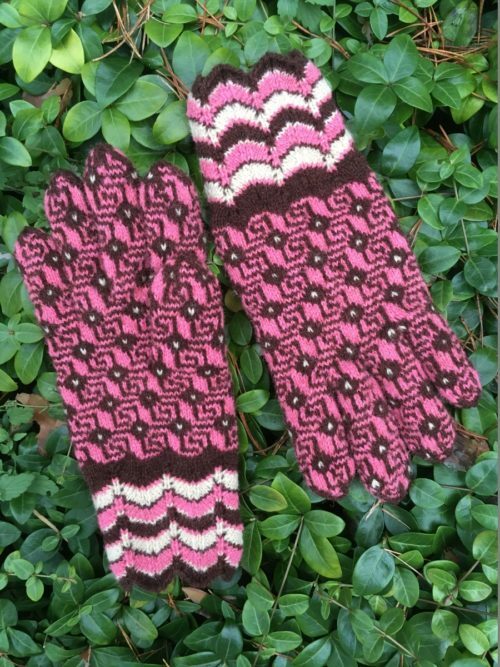 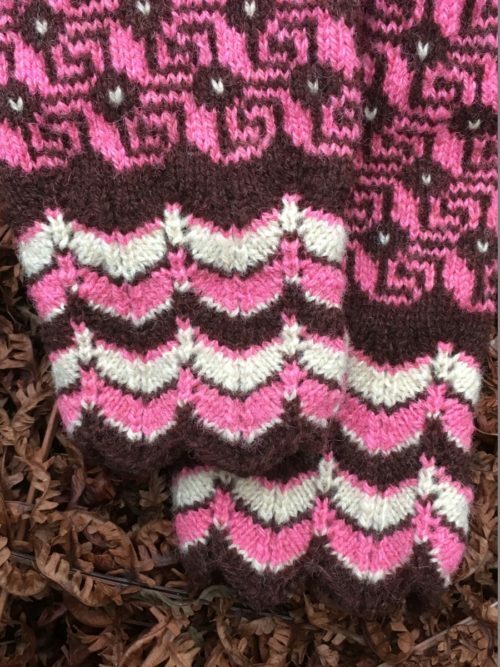 Knitted with three colored yarn in traditional Estonian fair-isle style. 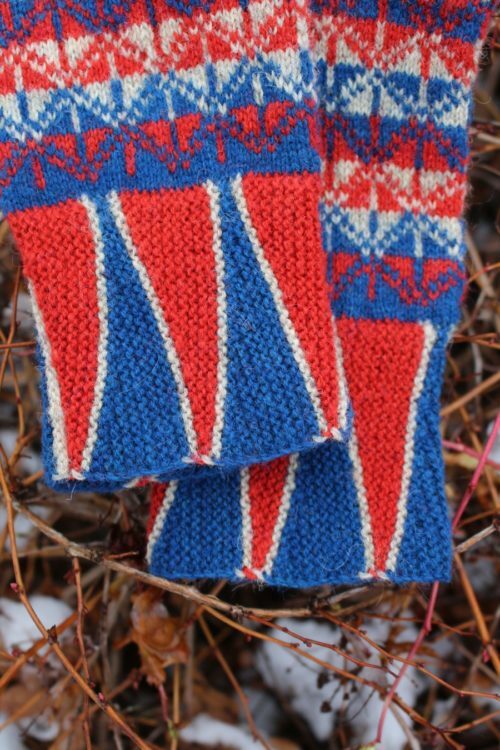 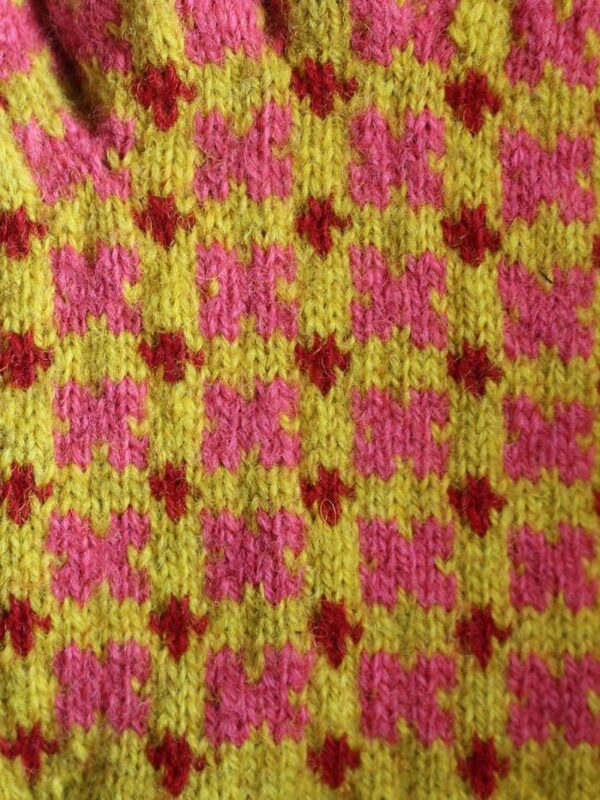 The pattern is an ancient Estonian pattern depicting crosses and stars. 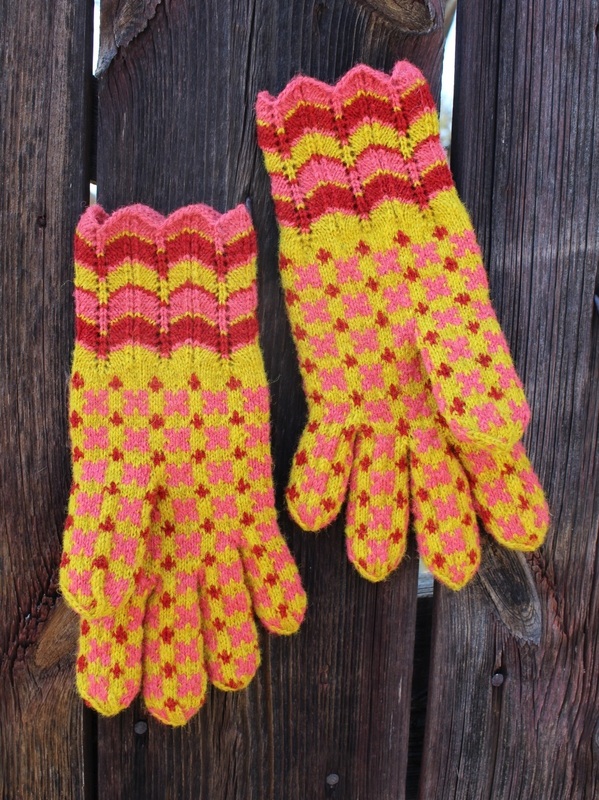 It comes from Lihula area in Western Estonia Lääne County, ESTONIA. 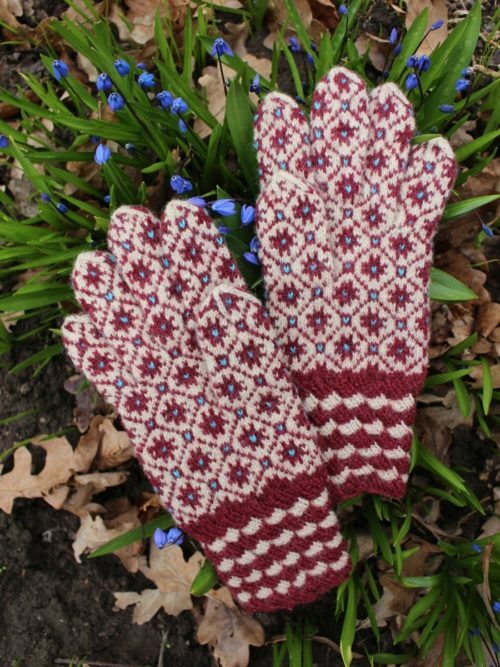 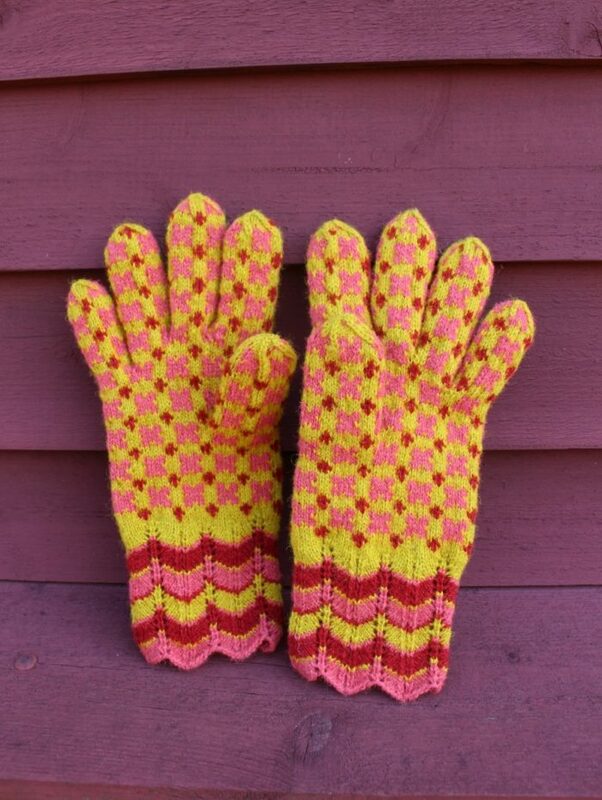 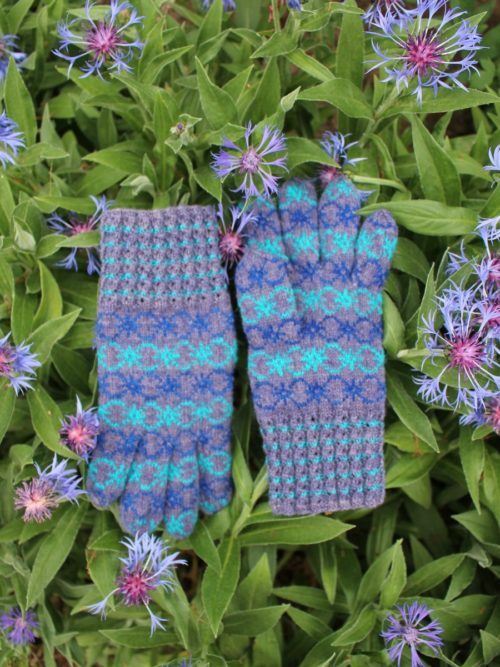 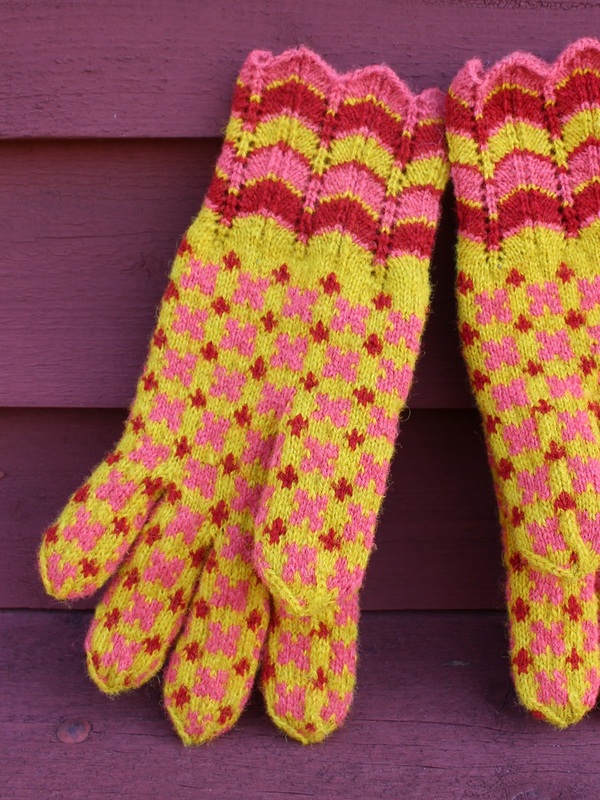 The gloves are colorworked all the way to the fingertips, which makes them warmer than average thin one-leyer gloves. 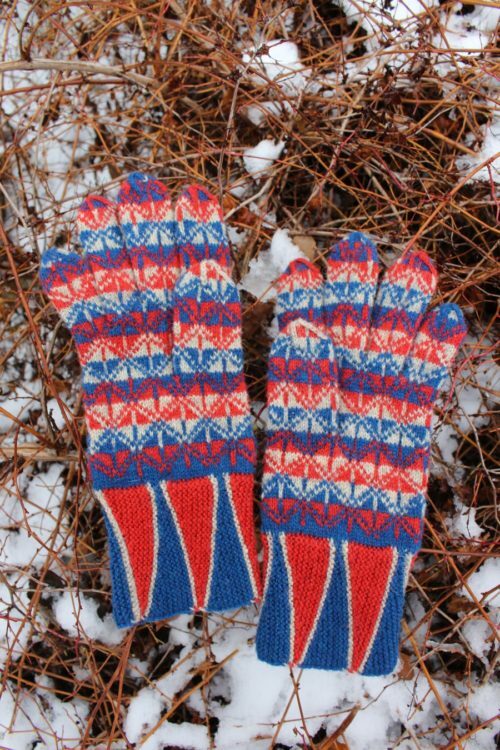 The yarn being rather thin makes them very comfortable to wear and they fit like a second skin.